Tulipa bakeri in Omalos. 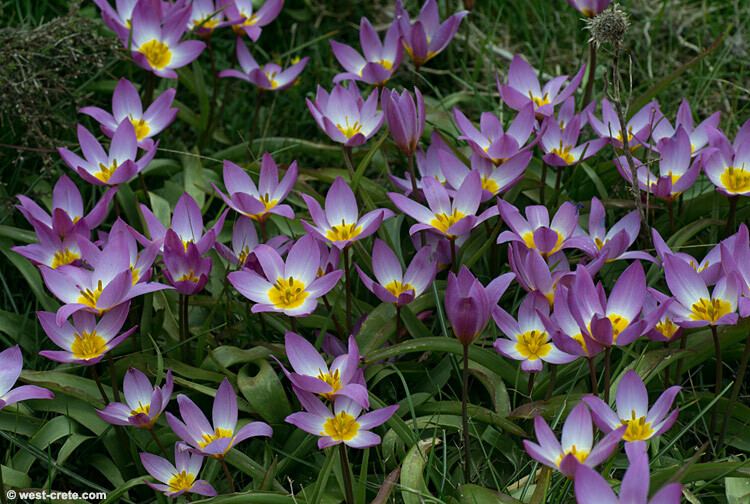 It is the same species as Tulipa saxatilis but was created as a separate Cretan endemic because it occurs at higher altitudes. It's in full bloom at the moment.